Renesmee and Jacob. Nessie and Jake. Wallpaper and background images in the renesmee carlie cullen club tagged: renesmee nessie cullen renesmee carlie cullen jacob. 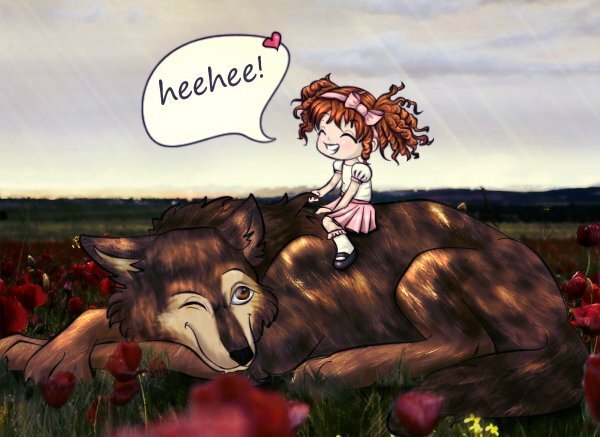 This renesmee carlie cullen fan art contains anime, banda desenhada, manga, desenhos animados, mangá, and quadrinhos. Aww! Jacob is really good in this pic! adorable. Jake's fur is amazing! this is so freakin adorable !!! i just ♥ it !!! OHH.MY.GOSHH.!!! Are they really coming out with a breaking dawn movie..?! It'll probably be rated R!!! Even Though Im Not The Biggest Jacob Fan I Am Actually Happy With Him And Renesmee. I LOVE This Pic. Its So Cute! Cute but Nessie is not like this!